Agile Academy is glad to announce the 4th round of the ICAgile accredited class: "Agile Product Ownership (ICP-BVA)"; the advanced course for Product Owners, Product Managers, and Business Analysts. Agile projects are all about business value. One aspect of a successful agile team is to deliver value early and often. To achieve this, Product Owners strive to identify and prioritize product features. They work in collaboration with the customers, developers, managers, UX designers to communicate and align the team towards achieving maximum business value at the earliest. Attend this course to gain the tools and techniques of a successful Product Owner. This course focuses on value-driven software delivery, the accompanying mindset, and key agile practices designed to emphasize customer value. This course also gives in-depth understanding of the value management team and how this team collaborates to identify the most important and valuable aspects of the product. 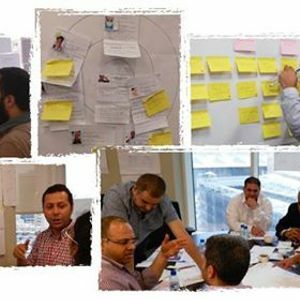 This course offers one of two Continuous Learning Certifications (CLCs) on ICAgile Agile Value Management track. Upon attending this course, you’ll earn the ICAgile Certified Professional in Business Value Analysis (ICP-BVA) certificate.